Peacefully on January 25, 2019, at the age of 92, with her loving family by her side. Dear sister of Antonietta Coletta and Palmina Cirino, and predeceased by her brothers Joe (Cora) and Mike (survived by Michelina). Special cousin of Frank and Rita Coletta and family. Rosina will be lovingly remembered by many nieces, nephews and great-nieces and nephews. Much love and gratitude to the Carlone family for always including Rosina as part of their extended family. Special thanks to Diane, Kim (Tara), Lisa and John for all their thoughtful care over the years. 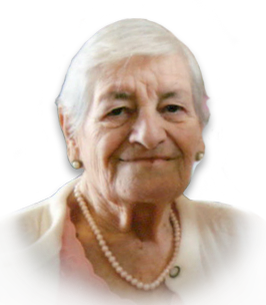 Rosina always added to family gatherings with her colourful personality and zest for life. If you so desire, donations to the Canadian Hearing Society or Charity of Choice would be appreciated by the family. Visitation Sunday, January 27, 2019 from 3:00 p.m.-5:00 p.m. and 7:00 p.m.-9:00 p.m. at Families First 3260 Dougall Ave. South Windsor, 519-969-5841. On Monday, January 28, 2019, friends are invited to visit with the family after 9:00 a.m. until time of Funeral Mass at 10:00 a.m. at Our Lady of Assumption Parish (McEwan Campus), 711 McEwan Avenue. Entombment to follow at Heavenly Rest Cemetery. Additional Information	Parish prayers Sunday at 4:30 p.m.
Visitation will continue at the church from 9:00 a.m. until time of Funeral Mass at 10:00 a.m.